Happy to find this community - I just passed my CANPC exam in November also (on the second attempt). 1. 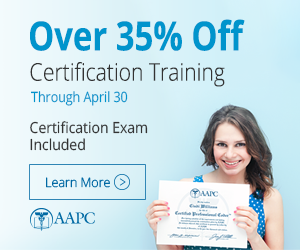 If you have enrolled in the AAPC practicum online STUDY IT CAREFULLY because they focus on the less than ordinary situations. You are being tested on your specialized knowledge, not the hum-drum day-to-day things like lap cholyes and tib-fib repairs. 3. Bone up on abstracting ANESTH codes from SURGEONS operative reports - the format used by the AAPC practicum is based on surgery reports and NOT on anesthesia records. 4. Read the test questions first - they may guide you about what parts of the documentation to focus on (why look for the -PS modifiers if you are being asked about base units). Read the questions CAREFULLY - it is easy to confuse a question about units by answering time units when asked for total units. 5. Take a watch (my colleague actually brought her 6" round travel clock!) and pace yourself. I allowed 30 questions per hour with some wiggle time for the extra 40 mins. I actually plotted a little chart in my test booklet and watched the clock OFTEN. This is the ONLY reasons I passed on the 2nd attempt. 40 mins left to go back and answer skipped items that I knew would take more time. 6. Bring codebooks and your specialty reference book that you are familiar with using. This is not the time to crack the spine on your new copy of Grey's Anatomy. You need to know where to find things - not spend time flipping thru pages. I had rubber fingers for both hands for the flipping functions that are inevitably necessary. 7. Bring a pillow for your chair (as well as the layers of clothes the AAPC recommends) - nearly 6 hours in on the same hard wobbly cafeteria chair nearly did me in. 8. Listen to upbeat music as you drive to the test site. I happened upon "The King and I" and listened to "I Whistle a Happy Tune" with the lyric "Whenever I feel afraid, I hold my head erect, And whistle a happy tune, So no one will suspect, I'm afraid." I was definitely afraid and I am convinced this helped! 9. BREATHE and STRETCH and bring a banana or hard candy to nibble on as needed. 10. Remember - YOU CAN TAKE THE EXAM AGAIN! I found that the CPC was harder for me, only because I had coded primarily anesthesia at the time that I took it. Since the exam includes many different areas of coding (e.g. pathology, radiology, etc.) that I had never coded before, the content was more challenging. Since then, I have broadened my coding spectrum. If you take some practice exams, and see how the test is formatted, it will be a big help.